This episode was based on the short story 'The Case of the Missing Will', first published in 1923. It was adapted for television by Douglas Watkinson and directed by John Bruce. To say that this is an adaptation of a Christie story is to stretch the meaning of that term particularly far out. In fact, there is almost no point in recounting the changes made to the story, because, essentially, the only elements kept are 1) a missing second will, 2) the names of the central characters, 3) the education / women plot point. There's no old farm, no quick-witted uncle, no search for a cleverly hidden will. Indeed, anyone claiming that this series never used to take liberties with the source material in its "golden years" should have a closer look at this episode. However, I personally think this works as an hour of television entertainment and as period drama. The extravagantly staged Cambridge Student Union debate on women and higher education is just one example of how Watkinson creates a very distinct 1930s university atmosphere. Also, the whole idea of different versions of a will, with several possible heirs and suspects, is very Christie-esque. Even the murder method, poison, seems as if it was taken straight out of a Christie tale. All in all, then, I'm not as outraged by this episode as I'm sure some purists would be. 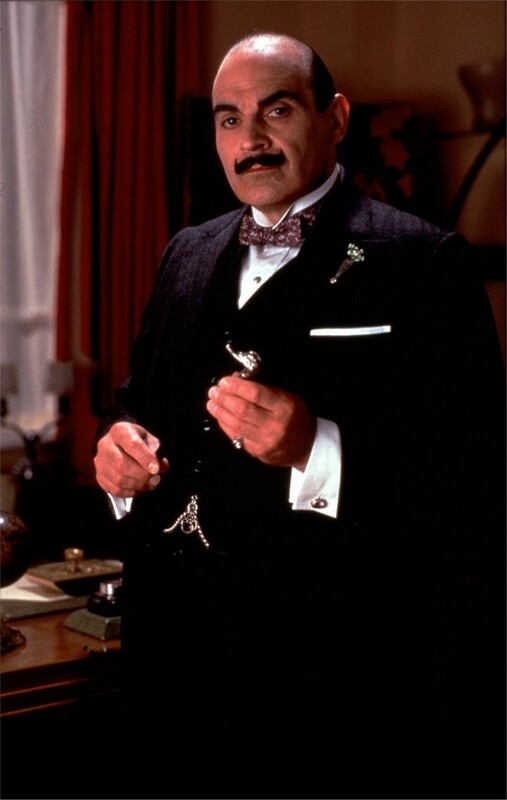 Poirot is his usual self, so is Hastings, Japp and Miss Lemon. It's also nice to have Poirot as a long-term friend of Andrew Marsh, a clever reference to Poirot's many friends and acquaintances, many whose deaths he will have to investigate in later years. Of course, one might easily object that there is a perfectly acceptable Christie story that could have been used, but I very much doubt that the somewhat slight plot of the original could have been expanded into more than fifty minutes of television. For that reason, I'm inclined to support Watkinson's (and probably the producer's) decision to create something entirely different. Especially since it generally seems to work. Bruce's direction is competent, and he manages to bring out the university setting to a tee. The production design of this particular episode is really extraordinary - they manage to convince viewers that we are really seeing 1930s Cambridge. Locations used include St. John's College, Cambridge. Gunning's score is sufficiently evocative of the setting, too. As already mentioned, the main characters do seem at home in Watkinson's more or less original plot, and that's a big relief. Of the guest performances, no one except Beth Goddard (Violet) really has time to excel. As a curious coincidence, Goddard re-appears later in the series' run as a completely different character in another Christie story that is almost completely reworked, i.e. Appointment With Death. I realize that the original story in purest form probably wouldn't have lent itself to a 50-minute television show and some "fleshing out" had to be done. Having said that....did the...perpetrator's....scheme have to be quite as...convoluted...as it was? I am certainly not going to complain that Poirot is a whole-hearted supporter of education for women, but in this respect I think, whatever Suchet claims, he is departing from Christie's characterization. The Poirot of the books admires women who show courage and strength and step up to the plate and take charge when faced with a crisis, or do something unconventional to resolve a situation (he admires the way Nadine Boynton tries to use jealousy to make Lennox stand up to his mother, for instance). And I don't think Christie's Poirot wants anyone to really be stupid or ignorant, but in the books, whenever he makes the acquaintance of an educated or modern-thinking woman, he expresses frustration at how she lacks allure in dress and her conversation is too serious and boring! (I suppose that's not exactly the same thing as saying women have no right to be educated.) And he tends in the books to try to get everyone married and believes that career women are unfulfilled because they're not married. The books' resolutions seem to "have to" include hooking everyone up...Poirot admires Rosamund in Evil Under the Sun both for her allure and her career (it seems) but Marshall orders her to give up her business! Countess Rossakoff has something of an independent spirit and seems to be somewhat educated or at least literate (in the series, she seems to know a lot about art), but she is still an old-fashioned aristocrat. Maybe he recognizes that lack of opportunities for women are a reason some women like her turn to crime? As for the original "Missing Will", Poirot does seem to consider it unjust that Violet's uncle tried to punish her for being educated by disinheriting her...but this seems to be more because Poirot has the old-fashioned belief in her being entitled based on being a relative. That rule stems in part from an assumption that women wouldn't be able to support themselves! I suppose that the writers felt they could not have Poirot oppositional (or even sceptical about) education for women while still presenting him in a good light. I suppose that in itself is progress! Interestingly, Hastings, who is younger than Poirot, is far more blatantly opposed to educated women, in the books...at least, the early ones...he ended being happy to send his own daughter to university! Though he still worries about her missing out on the fun of youth. It seems like women have had careers (or at least jobs) in certain fields for a long time: nursing, teaching, secretarial and research. We meet nurses in Christie's 1930s books - Sad Cypress - for example, and female nurses and dispensers are at least alluded to in Styles. Were those among the first of women to go to universities or was there some other kind of training - higher education but less so than university - for them? Secretaries probably didn't need to go university. And English novels sometimes refer to "teachers' college" as if there are colleges for teachers that are short of being full universities. At this time - and until quite late in the 20th century - nurses and teachers were trained at nursing/teaching colleges, which were fairly basic and old fashioned. Degrees weren't required for either profession (although secondary school teachers often had them). Missing Will, though, is one of the few Christie stories that makes a plot point of developing education and career opportunities for women. There are actually many educated women, working women, even women in scientific or financial fields scattered throughout Christie. While they're not the norm, necessarily, and while some characters (in the books, sometimes including Poirot) will express disapproval or scepticism, or perhaps pity (that they "have to") work, they also seem to not be a big deal - at least, not as big a deal as you would expect for the era. Difficulties being accepted in their fields (or the question of whether they can still be attractive) are rarely plot points. Many end up dead or turn out to be criminals, though. In the opening scene, it's made clear the will makes provision for a trust fund for Violet's education, but then there's an argument about her being left nothing! Having long been a Poirot fan, I recently began checking out episodes at my local public library. It didn't take long to discover this wonderful blog! Now when I finish each episode, I can enjoy your comments and insights. Thank You!